Fitted holoku with long or short, ruffled train has bust and contour darts, and back zipper. 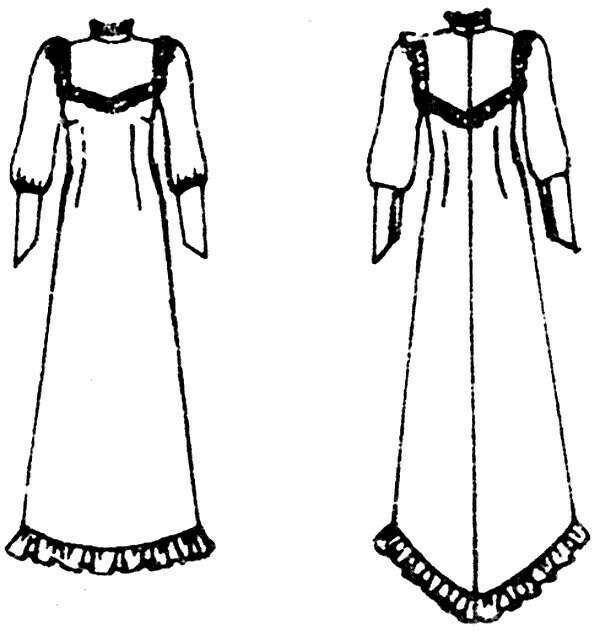 Front and back yokes have bias ruffles. Standing bias collar has purchased lace trim. Juliet sleeves with sleeveheads are gathered to deep, shaped cuffs with button-and-loop closing. 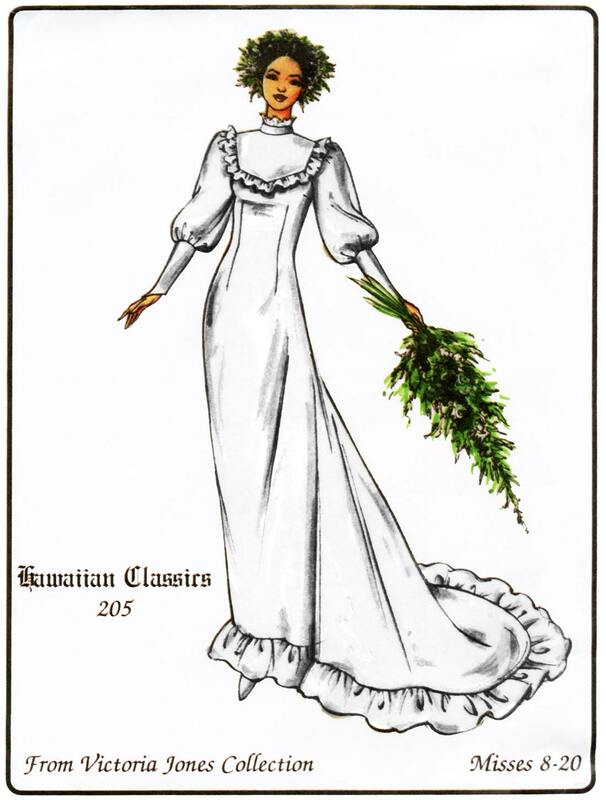 This is a classic Hawaiian wedding dress. 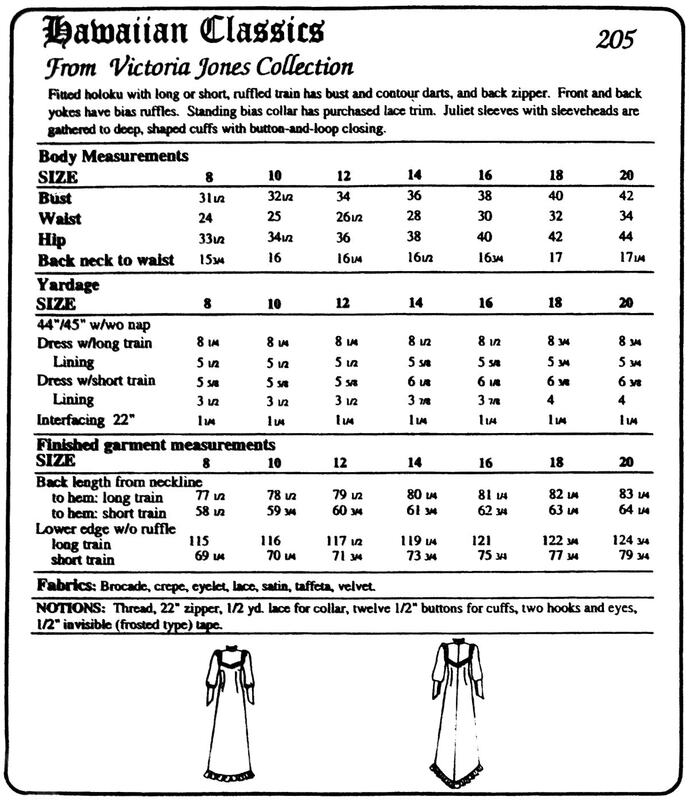 Victoria's customers have made this with sheer yoke, sleeves and cuffs, from eyelet and satin.